It may seem like these horns and whistles were designed to test the sanity of all within hearing distance, but they are in fact used as a safety precaution. 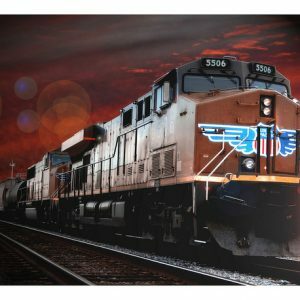 The Federal Railroad Administration (FRA) requires all trains to sound their horns as a warning to oncoming traffic and pedestrians 15-20 seconds before entering a public highway-rail grade crossing. If the train is moving at a speed greater than 60 mph, the conductor is required to begin sounding the horn when the train is a full quarter mile away from the crossing. To ensure the whistle is audible to all individuals in the surrounding area, it sounds at a minimum of 90 decibels and can reach up to 110 decibels, much louder than any other common city noise. A distinct pattern of 2 long blows, 1 short blow and then another long blow is used to distinguish the train’s horn from any other noise. With that, there are 3-ways to block a train horns, whistles and noises. If you’re fed up with constant train whistling, you may be in luck. Some areas are eligible to become Quiet Zones, where horn restrictions can be put in place to reduce train noise near residential and commercial areas. Quiet Zone qualification is only available in locations where there have been no ‘relevant collisions.’ In order to be considered, citizens must prove that the noise is having detrimental effects on the community. Applicants must also take action to improve train safety through other means such as crossing signs and arms or local education programs. If you are interested in turning your area into a Quiet Zone, follow these instructions. The Cobb County Board of Commissioners in Powder Springs recently approved a Quiet Zone in the center of town. The town installed new safety equipment and updated sensors as alternative safety precautions. In Illinois, 64% of people live within a mile of railroad crossings. It comes as no surprise that the state has seen a dramatic rise in public support for Quiet Zones, and the zones have begun to appear all over the state. Becoming an approved Quiet Zone requires a large community effort, which is not always feasible. For individuals who are unable to achieve the qualifications required for Quiet Zone consideration, soundproofing is the solution. 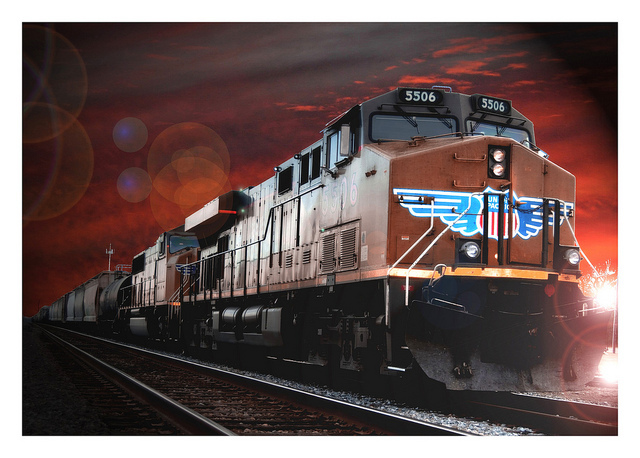 Train horns are typically a high-frequency noise, meaning they have a shorter wavelength. High-frequency noises are easier to block than their low-frequency counterparts. The easiest ways to reduce these noises is with soundproof curtains or drapes or certain outdoor barriers to absorb the sounds and reduce soundwaves. Soundproof curtains are one of the easiest ways to combat train noise. These curtains are able to create a transmission loss of 35 decibels at high frequencies, making them the ideal defense against train noise. You can also abate noise by creating outdoor barriers. By building a fence around your yard you can diminish soundwaves before they get to the walls of your house. You can further reduce soundwaves by adding a row of shrubs or bushes in front of your home. Train noise can prevent you from conducting focused activities and hinder your ability to sleep through the night. Stop train noise in its tracks by installing soundproofing solutions and talking to your city officials about becoming a Quiet Zone. Have more questions about soundproofing against train noise? Leave them in the comments below! Reduce train horn noise by working with regulatory agencies and municipal authorities. Consider soundproofing curtains if No Whistle Zone is not feasible. This entry was posted in Soundproofing and tagged sound blocking, Soundproofing, train noise.